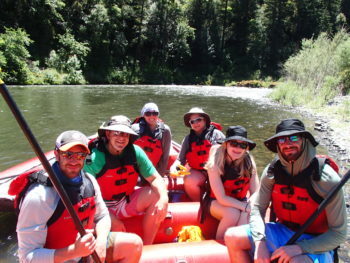 Rogue River Rafting – Absolutely an Amazing Experience!! I embarked on this Rogue River journey with my family and wasn’t quite sure what to expect since I’d never done a trip like this before. It was an absolutely amazing experience that I would love to do again. First of all, the Rogue River was so incredibly beautiful and all of the information from the guides about the area was so interesting. The river guides were knowledgeable and super fun. And oh - all the food was super delicious! I’m kind of a picky eater, but every single meal we had, on the river or at the lodges, was wonderful and yummy. I was never disappointed! The lodges were clean and it was definitely a plus having a warm shower every night. Stargazing at Paradise Lodge was breathtaking. Enjoying the beauty of nature and being able to completely disconnect was amazing. I would absolutely recommend this trip. 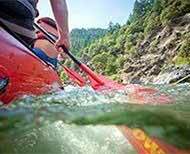 Oregon and the Rogue River are hidden gems!